This is by way of a test post. I’ve been using the FlickStackr app to grab HTML for my images on Flickr, so I can pop them into blog posts. The official Flickr app does not allow grabbing HTML. It does have a share to WordPress option though. ETA: The reason I’m testing this option is that the FlickStackr app has been pulled from the app store by Apple. Hmf. The developer has had his development account shut down, so if the app stops working for some reason, it won’t be updated. On to Plan B! 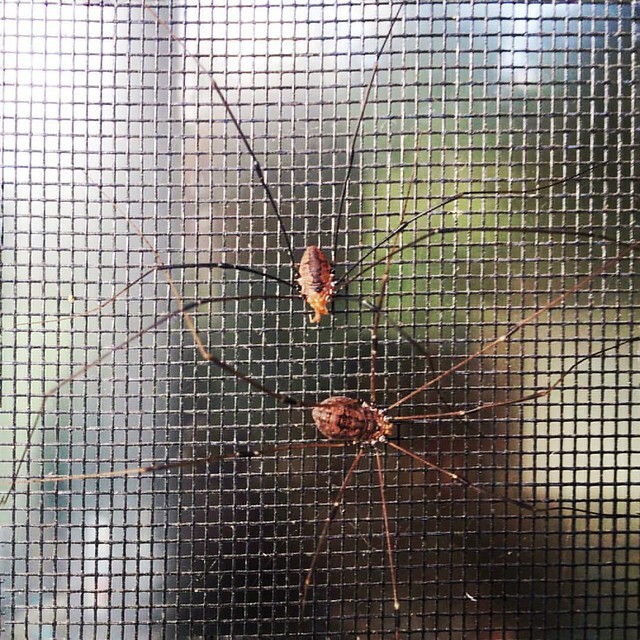 In the meantime, I edited the Harvestmen image to point at Flickr.